A regatta Yawl built in Germany at the Abeking&Rasmunssenen shipyards on 1935. 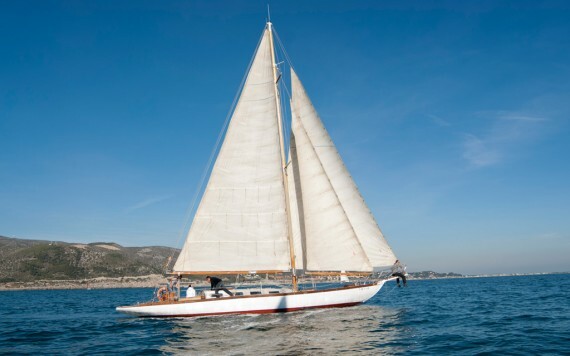 A keel made of oak, a hull of Flanders pine, a deck made of iroko and a mast of Oregon pine. On 1979 arrived to Ibiza, where its actual cabin was built and her name was changed to Tagomago ll. Nowadays on a restoration process, the Tagomago II is moored at the Ginesta Port in Castelldefels and everyone can enjoy her by doing sailing courses or charter cruises.